After last night’s successful ‘Spicy Dumpling Stew,’ we were only left with the liquid part of the stew, which was the best part of the dish. So, I decided to make spicy udon soup with the left over soup base for lunch today. I only needed a few ingredients, and it only took 10 minutes to make. Once again, it was another successful experiment. My mother and I had a satisfying meal that was quick and easy. The best part of it was that it tasted like a totally different dish from last night’s dinner. * This yields two servings. Combine the water the soup leftover and boil for about 5 minutes. 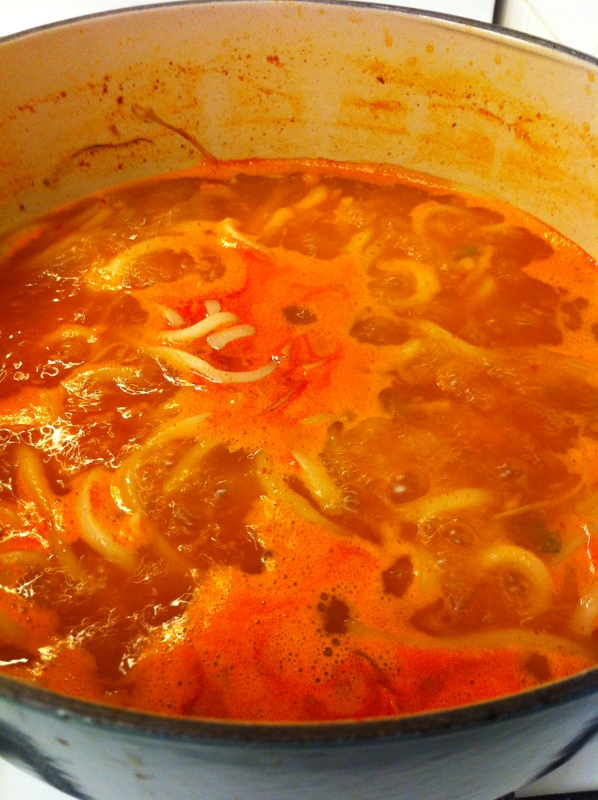 Since the liquid from the stew is thick, the water helps loosen the soup. Add 2 packages of the udon noodles and cook from about 3 minutes or according to package instructions. Crack 2 eggs in the soup and let it poach until the egg whites are cooked. In 2 separate the bowls, serve 1 egg each, sprinkle the crushed gim. 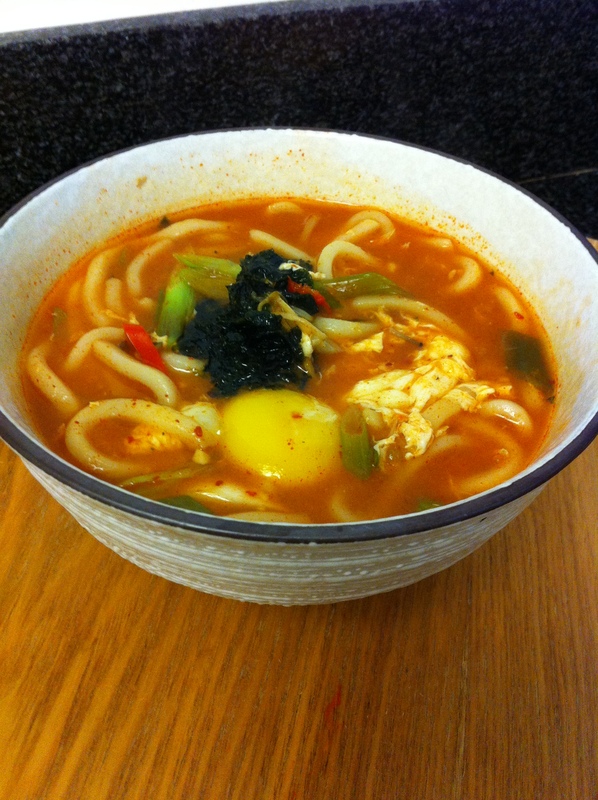 This entry was posted in Good for lunch, Noodle Dish, Soup/Stew (국/탕/찌게) and tagged Udon by gangnamkitchen. Bookmark the permalink.